A block party is a great way to get to know your neighbors, establish relationships, or catch up with those you haven't seen around for a while. Block parties can help build bonds within a community and create a safer place to live. According to the Pew Research Center (June 2010), 29% of Americans know only a few of their neighbors, 28% know none of their neighbors by name, 93% say it's important for neighbors to look out for one another, and over 67% say they feel safer when they know their neighbors. When should we have a block party? 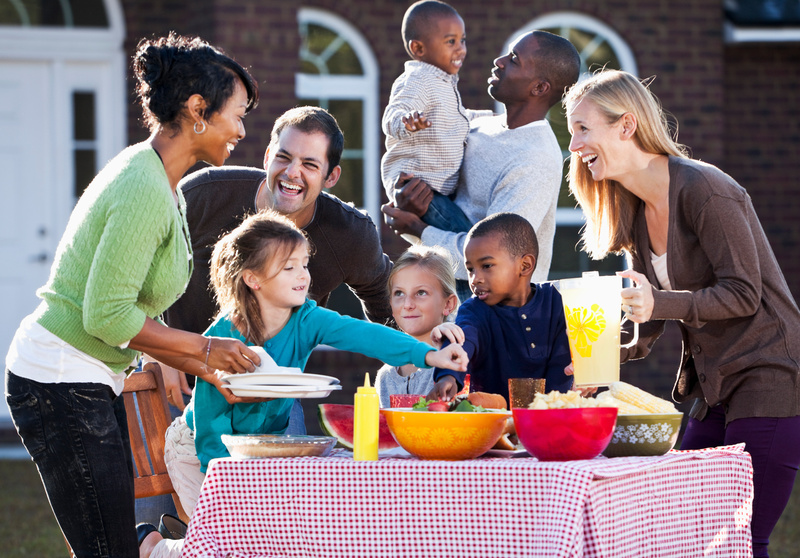 Many groups hold their block parties on National Night Out, also known as Night to Unite, which is usually the first Tuesday in August, but a block party would be a perfect event on any nice summer evening. However, plan a block party on a date and time that works best for everyone. One or two families should act as hosts and offer a front yard for the party. They could provide barbeque grills, and perhaps beverages, paper plates, forks, napkins, etc. About two weeks before the event, print up a flyer with all the relevant information - ask people to bring a dish to share and chairs. Go door-to-door and drop off a flyer to invite each household on the block. Have name tags available at the event, and have people write their name and house number on them. You might want to have a sign-in sheet. You can collect names, addresses and phone numbers and later make a copy for each person on the block. Determine the type of event you plan to coordinate. What do you plan to serve at your event? Think barbeque, potluck, or delivery. What type of activities will be incorporated? Activities such as icebreaker games, trivia, bingo, contests, raffles, magicians, clowns, face painting, a scavenger hunt, movies, or yard games are all fun ideas. Assign responsibilities-focus on food, beverage, entertainment, activities, location, and communications. Invite emergency personnel, neighbors, friends and families. Spread the word to your neighborhood with Nextdoor. Nextdoor is the private social network for your neighborhood and is a great tool to stay connected with your neighbors. The Fargo Police Department has partnered with Nextdoor so that the Police Department can keep in touch with neighborhoods. What does the partnership mean? It means the Fargo Police Department can publish neighborhood-specific information regarding crimes and safety tips that are specific to each neighborhood. Complete the below Block Party Request Form and return it to the City of Fargo Engineering Department as listed in the form.